Essential Items you need to bring when driving to Alaska. Alaska Highway Check Lists should be used in preparation for your trip. Bring these items at a bare minimum for a safe and prepared Alaskan adventure. I want to bring up a pretty serious topic that, just on the outside chance that you are faced with an ill-fated incident, needs to be planned for in advance. You will be driving through some pretty remote areas where cell phones won't work and help may be hours away. Should medical assistance be needed by you, by someone in your party, or if you come upon an incident such as an accident you will need to have the necessary items to effectively deals with the situation to the best of your abilities. 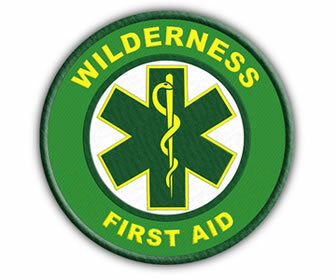 For this reason I thought we should go over some of the nominal items found in the basic first aid kit that everyone should carry when traveling in the remoteness found along the Alaska Highway. Developed with the help of the American Red Cross, along with 35 years of driving the Alaska Highway, we have come up with the essential minimum list of item you should have with you while enjoying the serenity of the Last Frontier. First Aid Kit - This is a place we feel that more is truly better. A well equipped first aid kit needs to be versatile in composition and inclusive of the items you may need if an unforeseen incident should arise. Sometime by having items at hand a passerby can lend a hand in areas they are trained in. For this reason important items for backcountry travel include things like a Blood Pressure Cuff and a Stethoscope need to be included. This is by far my favorite roadside medical kit the ProMed CFAK100 is about as complete a roadside first aid kit as they come. 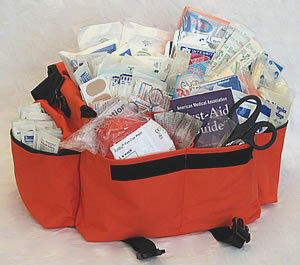 Versatile well equipped first aid kit designed by medical professionals. 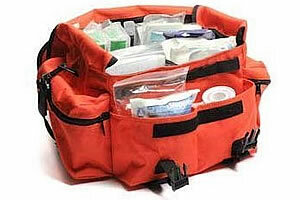 Bag features a carrying handle as well as a shoulder strap and has multiple internal and external dividers and pockets. The contents of this first aid kit are well organized and easily accessible which is important as your kit needs to be ready to use at all times. Overall the ProMed CFAK100 first aid kit measures a manageable 17x10x8 inches and weighs just 5½ lbs. QuikClot Advanced Clotting Sponge - speeds coagulation of blood resulting in a stable clot that stops bleeding.